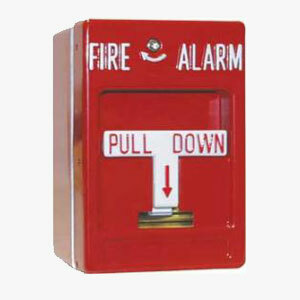 The GFP explosion proof and weather proof manual pull stations are constructed of the finest materials and workmanship. They are listed for hazardous areas Class I, Group B (Hydrogen), C & D; Class II E, F, & G, and Class III, and an outdoor rating of NEMA 4X. They have a DPDT contact arrangement and can be painted any color to fit your application.